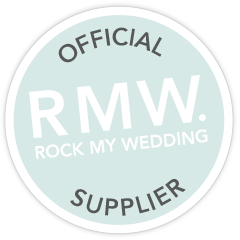 Welcome to A Whole Lot of Lovely, a website dedicated to beautiful, pretty wedding and celebration stationery and prints. Whether you are recently engaged and are browsing for your wedding stationery, or you have a forthcoming celebration, or you are just looking for something beautiful for someone important to you… you’re in the right place! I’m Emma, and I’m always on the lookout for things of the lovely variety. You know what I mean… things which make your eyes open a little wider and your heart beat a little faster… things which make you say “oooh, that’s sooo pretty!”. When I was a little girl, my dad spent long periods of time away at sea in the Navy. He wrote me letters and sent me cards every week. Since a young age I’ve always known the magic of a handwritten note, or a special card. I still have them all today safely stored away in a box of memories. You see making memories and marking special celebrations with pieces of lovely is what I’m passionate about. The best thing about a little card or a token gift or any other piece of lovely is the memory it creates for the people you care about. It made total sense when this passion of mine sparked my natural creative streak and became a little business I call A Whole Lot of Lovely. Now I create gorgeous stationery and sell beautiful decorations and gifts for people who are as passionate as me about making the world a prettier place to be – so that you too can share something really special with the people you love. Come on in and pamper yourself with pretty!